When you need skilled and experienced workers, leave the recruitment to our knowledgeable professionals. Our employment search agency in Philadelphia, PA, specializes in finding the right employees for the right positions in a variety of industries, especially the child care and maintenance fields. 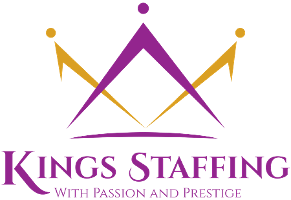 Whether you’re an employer looking for skilled employees or a dedicated and experienced worker searching for your next big opportunity, Kings Staffing Agency is here to forge strong and lasting connections. Are you a child care professional, business executive, warehouse or industrial worker, educator, maintenance worker, or other skilled worker searching for a new employment opportunity? Our staffing and recruitment company works with a wide number of companies in various industries, so we always have opportunities available at every level. When your company needs a skilled professional to fill a vacant role, you may not have the time to dedicate to finding the right person. No matter what type of business you run, it’s important to hire skilled and dedicated staff members that are likely to remain with your company long-term. When you count on us for recruitment agency services, we put in the work to make sure you get the right employees. We work with many industries including child care, maintenance, business executive placement, human resources, customer service, and more. Contact Kings Staffing LLC for more information about finding work. When your company is trying to fill an empty position in your workforce but you just don’t have the time to find the perfect employee, our staffing and recruitment company is here to fill the void. We specialize in finding the most skilled workers in a variety of industries throughout the New Jersey, Delaware, and Pennsylvania areas so your company can thrive once more. Our mission is to contribute to the community by filling the need for quality professionals in various industries. We understand that by optimizing our professional performance with the best practices in all industries, both businesses and job seekers will reap the benefits of our due diligence. Contact us to find a skilled employee or put your skills to work. We serve the Philadelphia, Pennsylvania, area.